Bombardier Business Aircraft proudly announced today that “The Masterpiece”, the fifth and final test vehicle in the Global 7000 flight test program, successfully completed its first flight, setting the stage for the program’s entry-into-service in the second half of this year. FTV5 will validate tests completed to date, ensuring a smooth entry-into-service for the Global 7000 aircraft. “The Masterpiece” joins four other test vehicles in the flight test program, which are demonstrating significant maturity, reliability and a smooth ride as they undergo extensive flight and ground tests. “We are proud to have all five Global 7000 test vehicles in flight testing – it’s a testament to the determination and skill of Bombardier’s team,” said Michel Ouellette, Senior Vice President, Global 7000 and Global 8000 program. The Global 7000 flight test program is progressing to plan, and in recent months, has completed several significant milestones, including the Global 7000 aircraft’s first international deployment. Recent tests have successfully demonstrated the aircraft’s capability in crosswinds at high-altitude airfields and in all-weather conditions. “With over 1,300 hours of rigorous flight testing completed, the results speak to the aircraft’s maturity, reliability and strong performance,” stated François Caza, Vice President, Product Development and Chief Engineer, Product Development Engineering. 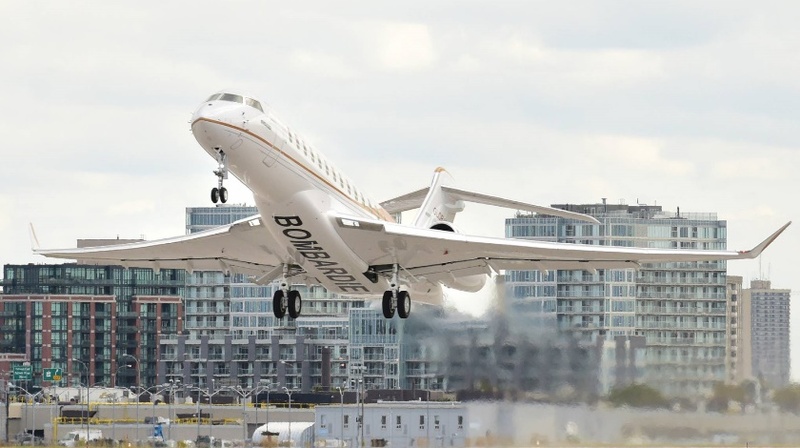 Bombardier publicly debuted “The Architect,” the Global 7000 program’s fourth flight test vehicle, in October 2017 at the National Business Aviation Association (NBAA) Conference and Exhibition in Las Vegas. With four distinct living spaces and a full-sized crew suite, the Global 7000 aircraft is unique among business jets in spaciousness, luxurious comfort and highly personalized design flexibility. Its modern and multi-functional kitchen features unprecedented storage space, preparation area and amenities to deliver an exceptional in-flight dining experience. The Global 7000 aircraft’s leading-edge cabin entertainment system, coupled with lightning-fast connection speeds via Ka-band, allows passengers to stream high-definition content and enjoy a reliable entertainment experience. Its advanced wing optimizes speed, range and control and ensures an exceptionally smooth ride. A masterpiece of creative and thoughtful design, the Global 7000 aircraft’s sophisticated styling and superior performance sets the benchmark for the most exceptional business jet experience.